Whether you’re stuck on I-95 during rush hour or commuting along Route 8, a car crash can happen at any moment. Attorney Jim Miron understands the physical, financial and emotional strains that a wreck can inflict on you and your family. He is committed to pursuing the full justice and compensation you deserve. If you’ve been hurt in a car wreck, you don’t just need legal advice, you need help. With 25 years of experience, attorney Jim Miron has the skill, resources and passion for results you need to obtain the justice you deserve. Call 203-339-5991 today for a complimentary initial consultation. Jim welcomes clients from across Connecticut, including Bridgeport, New Haven, Stamford and Waterbury. In far too many cases of vehicle collisions, people use the word “accident” to describe the event. When you hear the word accident, it’s as though the crash was was an unavoidable fluke, a classic case of bad luck. However, almost all wrecks are the result of negligence, involving a driver who was distracted, drunk or otherwise reckless or careless. In fact, the National Highway Traffic Safety Administration (NHSTA) has estimated that more than 94% of wrecks can be linked directly to driver error. Even many of the remaining 6% of crashes, which encompass vehicle defects, bad weather and other causes, can be linked to human error as well, whether from the negligent design or manufacturing of a car part or failing to adequately maintain roadways and signage. By continuing to classify these tragic events as accidents, we fail to acknowledge the root of these catastrophes and work toward making roads safer for everyone. Jim has spent decades fighting tirelessly on behalf of injury victims who weren’t involved in unfortunate car accidents; they were victims of negligence in completely avoidable car crashes. 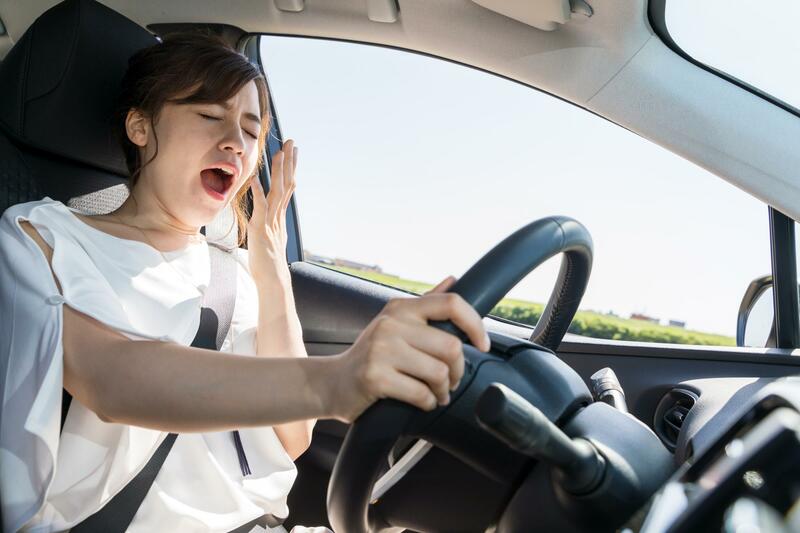 Driving while tired or intoxicated: This includes alcohol, drugs or any chemical that alters mental or physical response time. Distracted driving: This can include cell phone use, grooming and applying makeup, or eating and drinking. Reckless driving: This includes speeding, tailgating, erratic lane changes, road rage, or otherwise disregarding the rules of the road. Defective auto parts: This includes any automotive part that can cause a sudden malfunction, such as airbags, seatbelts or tires. Poor road conditions or inadequate roadway maintenance: This can include potholes, broken or defective signals, improper grading or obscured signs. 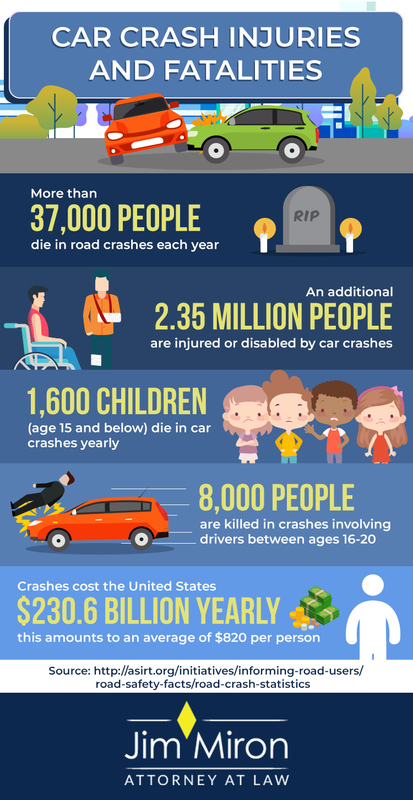 These are just some of the numerous ways that a car crash can occur. 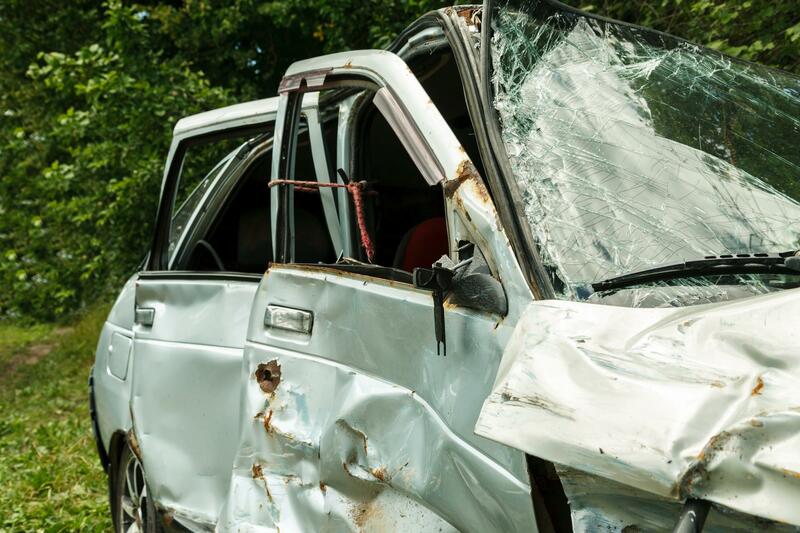 Although it may not be possible to prevent all auto accidents, by following the rules of the road and taking proper safety precautions, you can help reduce the risk of a wreck occurring. Call 911: In a collision, it’s important to contact emergency responders as quickly as possible. Ensure the safety of yourself and your passengers: If the collision is minor and doesn’t involve serious injuries, vehicles should be moved to a safe place on the side of the road. If the car cannot be moved, turn on your hazard lights and keep passengers within the vehicle while you set out safety markers. Help injured passengers: If possible, help injured passengers in any way you can. Be careful not to move them before emergency responders arrive; moving someone with a serious injury can worsen the problem and cause further damage. Exchange information: While waiting for emergency responders to arrive, obtain information from the other driver or drivers if possible. This information should include the other driver’s contact information, insurance policy number, driver’s license number and description of the car’s make, model and color. Tell police what happened: Explain what happened, but don’t admit fault or minimize any physical sensations you may be experiencing. If the officer asks if you’ve been hurt and you say no, that answer goes into the police report and could jeopardize the strength of your case. Seek medical attention: Many injuries are immediately evident after a collision, but others, such as certain back and neck injuries, can take days or even weeks to fully emerge. It’s important to seek medical attention after a crash. Consult with attorney Jim Miron before talking to any insurance company: When you’ve been in a collision or wreck that involves injuries, and after you’ve sought medical attention, you’ll want to contact Jim before talking to any insurance company – even your own. In addition to physical wounds, car crash victims can suffer from depression, anxiety and other emotional and mental issues including Post Traumatic Stress (PTS). These “invisible” injuries can take a toll long after the body has recovered. Jim knows what a painful and terrifying time this can be for you and your family. You need a skilled and tenacious advocate on your side to focus on your case so you can focus on healing. He will thoroughly investigate every detail of your case and fight diligently on your behalf to help you attain the full and fair compensation you deserve. Losing someone suddenly in a fatal car wreck is an incredibly difficult and heart-wrenching experience. You may learn about the accident over the phone in the middle of the night or you may watch a loved one suffer for weeks or months in the hospital before finally succumbing to their catastrophic injuries. When struggling with the emotional pain of an unexpected loss, legal considerations may be the furthest thing from your mind while you arrange funeral services and attend to devastated family members. However, it’s important to realize that you shouldn’t have to bear the burden of your loss alone. Damages in a wrongful death claim can’t fill the void left by deceased loved one, but they can help to ensure that you don’t have to suffer financial burdens in addition to your emotional pain. In addition, a spouse can file a separate claim for the loss of the loved one’s support, companionship, income, and emotional absence. Jim knows how difficult these cases are, and he is committed to helping you seek justice with compassion and dignity. One of the most essential elements of a successful claim is proving that the other driver violated the safety rules of the road. When we drive, each of us has a duty to every other driver on the road. Every driver must watch the road in order to drive safely and react quickly. Also, drivers must keep a safe distance and speed, keeping in mind the traffic, weather, and other road conditions. And every driver must be fully alert and not under the influence of alcohol or drugs. Attorney Jim Miron has witnessed the devastating impact of auto wrecks first hand and knows just how difficult they are for victims and their families. He has seen lives permanently changed as a result of careless, reckless and negligent driving and takes these cases very seriously. Jim will thoroughly investigate the details of your crash and meticulously prepare your case as though it will go to trial, even through the majority of cases settle outside or court. He will personally handle your case from your initial meeting to your case’s completion. Whether in a courtroom or at a negotiating table, attorney Jim Miron will fight relentlessly for the full and fair compensation to which you are entitled. Don’t go it alone. Insurance companies – even your own – do not have your best interest in mind. If you place your trust in the insurance company, you are relying on them to be your advocate. That's why it's so important that you contact Jim immediately. The compensation available to you will be determined by the unique circumstances of your case. No car accident attorney can promise specific verdicts or monetary settlements. However, by choosing attorney Jim Miron, you can guarantee that you will receive skilled, experienced and passionate representation. If you’ve been injured or lost a loved one because of someone else’s carelessness, recklessness or negligence, you need an experienced car accident lawyer in your corner. Contact attorney Jim Miron today either online or at 203-339-5991 for a free initial consultation. Jim proudly serves clients from the Greater Bridgeport, New Haven, Stamford and Waterbury communities and throughout Connecticut.